For what is Chatteris? : Happy Christmas! 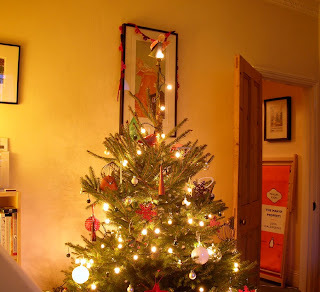 Our tree is up and decorated and Spooner-Gregory Acres is looking very festive indeed. We will be having a proper knees-up because Jon has finally finished his PhD. Hurrah! 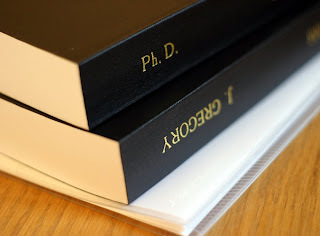 Here is the finished bound thesis - the hard back version will be bound later in the spring, after his viva. In case anyone is wondering it's called ' Marginal Environments and the Idea of Improvement: Heathland and Moorland Landscapes c.1650-1850'.